As the age of the Super Nintendo Entertainment System came to a close, developers like Rare were able to wring some amazing visual effects out of the machine. 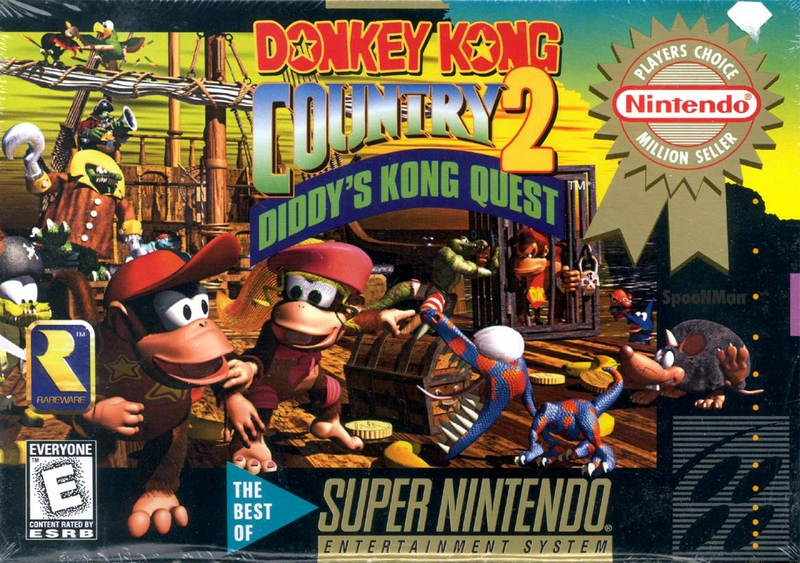 Donkey Kong Country was a visual feast of a platformer starring DK and his nephew Diddy* as they embark on their quest to retrieve a giant stash of bananas. The tone of the game was silly as can be, but the platforming challenges were tough and varied. My favorite levels were, of course, the Indiana Jones style runaway miner cart levels. But there were plenty of other fun ways to move. You could swing on vines, ride on animal friends, or even shoot yourself out of a barrel like it was a cannon. And the boss fights were especially creative and fun, requiring you to figure out the vulnerable spot of a giant and powerful enemy in order to bring them down. Later, Dixie Kong got her own starring turn when both Donkey and Diddy were kidnapped, leaving the rescuing up to her and her gigantic baby cousin Kiddy Kong. But my favorite game in the series was the first, if only because I remember being so utterly impressed with the lush backgrounds, the whimsical tone, and the numerous hidden spots and bonus mini-games were so new and exciting to me at the time. I remember the first time I wondered “why is there one lonely banana way out there on its own?” and being delighted and proud to discover that it was a clue that lead me to a secret area. For the most part the music in this game never really stuck with me in the way that it has for other games, but I do remember it having a driving beat that matched the speed and the gymnastic ability of the main characters. And the sound effects were amazing. Fear Factory is really great, too. 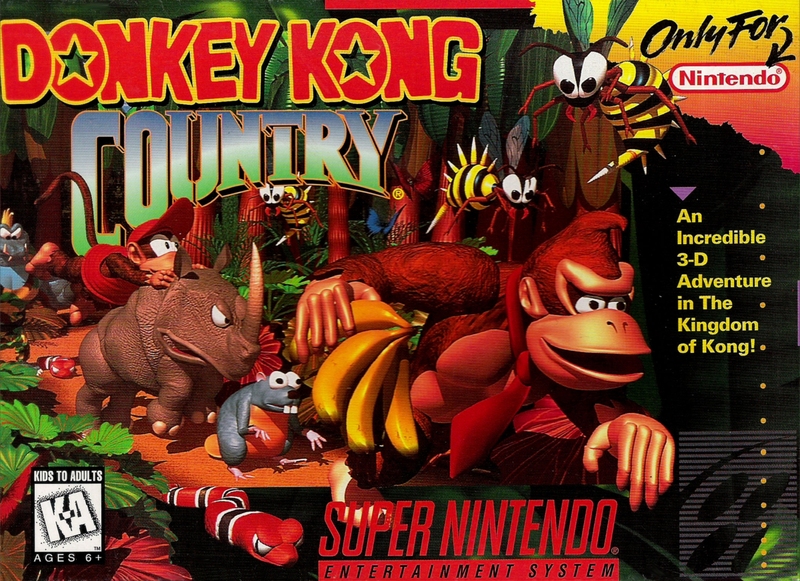 Do you have any fond memories of Kong Kountry? Share them in the Komments below! *until I started researching this piece, I always assumed that Diddy was DK’s son! But apparently Rare decided to model their universe on the old Disney cartoons, whose families seemingly consisted of nothing but uncles and nephews.